Rolling pin or wine bottle does it really matter? What do you get when you ask me for a rolling pin? A wine bottle seemed appropriate. Jackie came over to make apple crumble and needed a rolling pin. 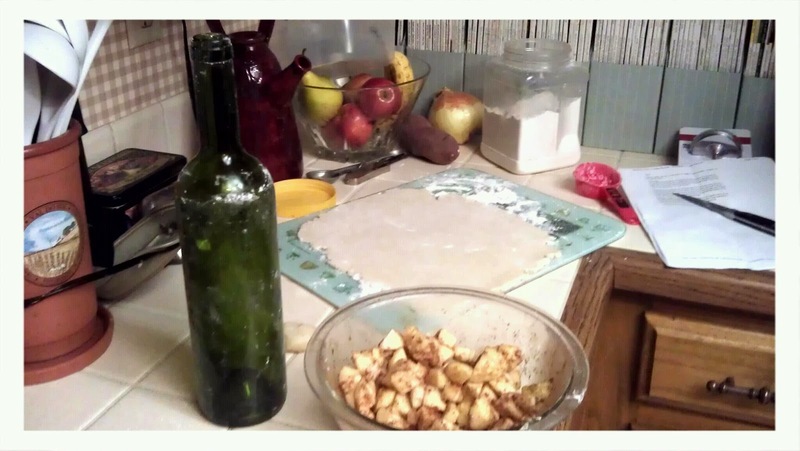 She did just fine with the wine bottle and the crumble was super yummy. All packed up from my last show of the year. Apart from the name, I don't understand why people think these little mini coppers are so small. 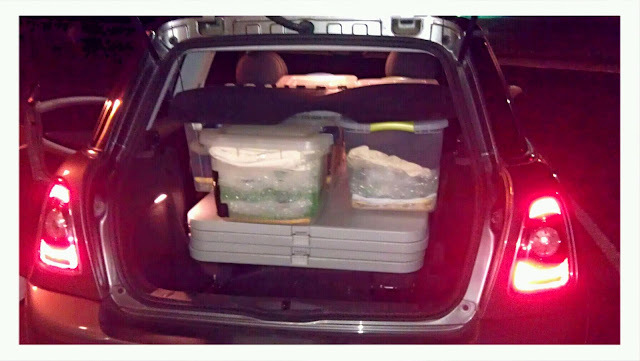 I loaded two 6-foot tables (yes they fold in half), table risers, five (1, 2, 3, 4, 5) containers full of fused glass and displays, a laundry basket full of crocheted scarves and a 22" in bowl. All this and I had room to spare.